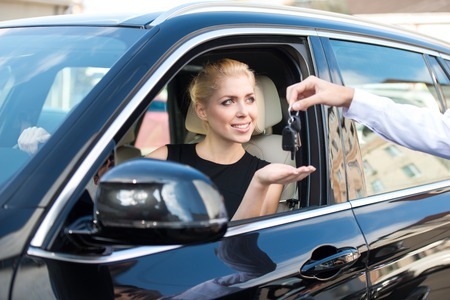 Although the car rental company has given you the rental car to use it is good to know what pay attention to, what rules should be followed and what should not do with the rental car? Most car rental companies maintain a smoking-free car fleet. However, if someone smokes in the rented car, you can expect to have to pay cleaning fee as well as for a burnt-up carpeting. The rented vehicle will be subject to specific rules by car rental if you use it in another country. If you transfer the car to another country without permission, then you can count that the company will charge a separate fee at the car drop off. Since you did not indicate the exit, this may mean that the car’s insurance will be terminated during the stay at abroad, and in the case of a failure there will not be any assistance. Thus, you are fully responsible for any accident or defect. Some countries require an international driving license, others do not, but there are also some country where the car may need special permits, or where rental cars are not allowed at all. Do not trust in “they will not know,” since almost every rental car has a tracking system that warns the company when the car arrives near the border. The rental car can only be driven by persons on the contract. You can’t give the car to another without the permission of the rental company, even for the “just go to the store”. Most car rental company does not charge any extra fees for second driver. Failure to do it may cause a problem in the case of an accident. If you are causing an accident and you are not listed as a certified driver on the contract, you must take responsibility for the full value of the vehicle. Cars are for normal street use, do not use for racing, do not take it to a test track. If this causes failure, your wallet can sorry it. If the rental car’s key is abandoned or damaged, it can be a very expensive. The worst scenario is not just the loss of keys and papers, but also the rental car. When you get out of the car, for just a short time, take out the key and take it with you. Do not leave it in ignition, on seat and in luggage. If the key remains inside and the doors locked, you will call the car rental company immediately. Do not attempt to break through the window under any circumstances. Imagine the following situation: you dine at a restaurant while a thief is breaking your car and looking for valuable stuff. He opens the glove box and sees the certificate with your address as well as the contract with your dates and credit card details. According to statistics, in this case, when the owner notices that his car was stolen, the thieves had already broke into their house. Therefore, you should keep it in your wallet with the driving license or in your bag. Who would think that the keys to the rental car could be stolen from your table at the hotel’s terrace while you are in the buffet? Unfortunately, this happens often. If the keys are stolen, check the car where you parked and call the car rental company. Do not take the key with you when you go swimming. Sensitive electronics can’t handle the water and probably you will leave the key while swimming. At the end of the rental period, the rented vehicle and its keys and papers will always be returned to the lessor. Who can’t drop off the car in working hours finds a box at the company’s premises where the keys can be dropped. Under no circumstances should you take them home. Pay attention when parking the car, leave no value in the cabin, even for a short time. If the car was broken, the lock was damaged, you call the rental company immediately, and they provide assistance and tell you what to do.